You are here: Home › Blog › A back link? No, I want a forward link! Yesterday we went over linkbuilding with Slideshares, but we forgot to mention what Linkbuilding is… in general. It is a core fundamentals of SEO and we felt we had to touch up on it before going into specific strategies. So for Day 4 of our 30 Days of Internet Marketing, we are speaking on Linkbuilding. A back link, no I want a forward link! A client comes in and says “I don’t want to have a back link, I want to be in front so i’m looking for forward links”. Bad Joke? Maybe. Truth is the understanding of what a backlink is one of the core noise objections that businesses have when they meat with an SEO agency. There is very little understanding of what a backlink is and how they are created, let alone how it benefits an SEO Strategy. To put it in it’s simplest form, a backlink, is a clickable text in an external page(not on your website) that gets the person who clicked it to your website. The way that it works in SEO is that it counts as a vote, search engines see this vote and the “Link Juice” which is the weight of the vote is dependent on the authority that external page has on the internet. Creating links for SEO is a job that has to be done very carefully. To rank for keywords you must always be working with new and relevant content. Having a strategy based upon keyword research to determine what links and which keywords will be attached to each link is vital to a good SEO campaign. It is also important to be aware of where this links are being built. For example, a charter jet company should not be building links in a website for dialysis, this link may count as a vote but do to irrelevancy of it, it’s link juice is decreased. At times a strong SEO strategy can be seen by creating quality links versus large quantities. Who’s the sheriff in town? When building a link you should always be aware of the domain authority of the website. Domain Authority will be discussed in detail later in this series, but this can also me considered “Page Rank, Trust Ranking and/or Domain Age”. The higher the domain authority the better link juice you will get out of putting up your content and creating your link there. Take in account that blogs and web 2.0 websites like wordpress and tumblr have high domain authority, but since it is very easy to use and a lot of people use them, the link juice that you will get out of the content you create there won’t be as high as a link that you can build in a press release or in an article. A very important part of link building is when you are creating it you have to be aware if your website has “www” in it’s URL; some website do not have www but people still put it when creating the link or even vice versa, people would build the link without the “www” when you actually have to put it so the link will count and give credit. Creating links is not a difficult task but you have to be always aware of what you are doing and making sure you are doing it right. You can still fix links when you have already created them in most websites but there are some that you cannot fix them. You can also use Google’s Disavow tool, which we hope to cover later in the series as well, so stay tuned. 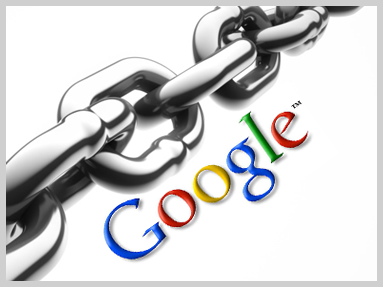 Anything you don’t understand about linkbuilding? Please leave us a note in the comments below.